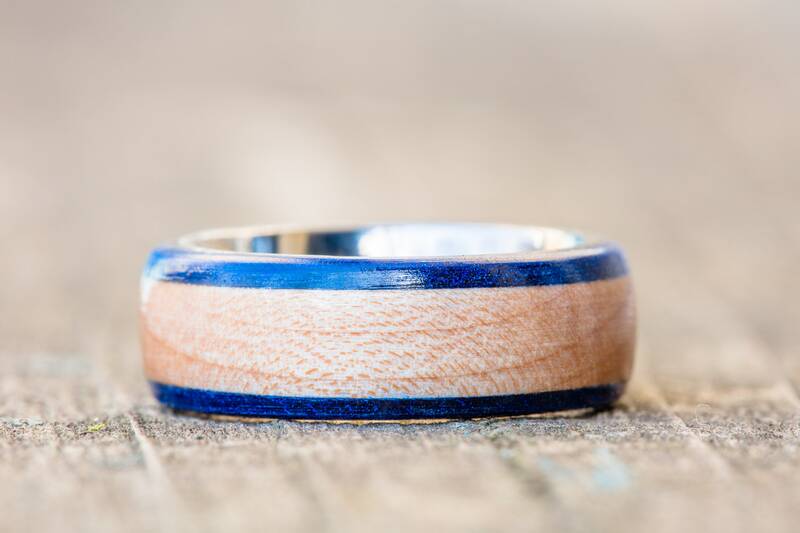 The perfect ring for a Kentucky basketball fan, or any fan of historical college hoops! 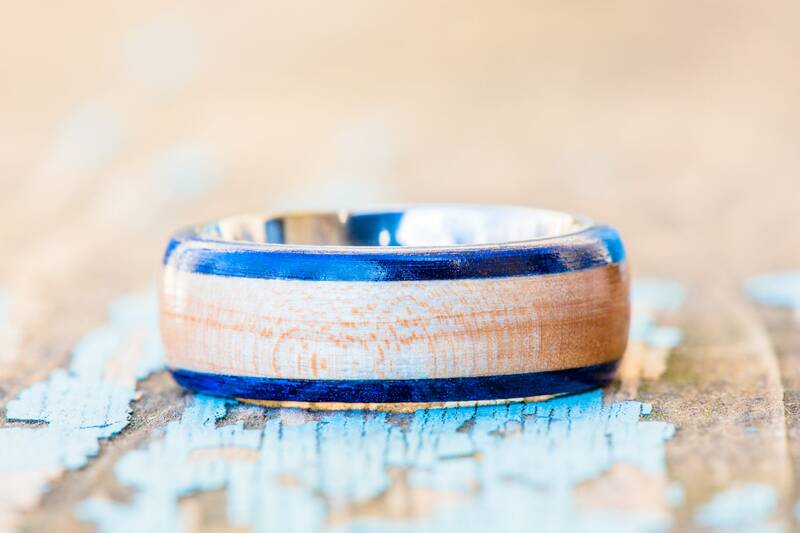 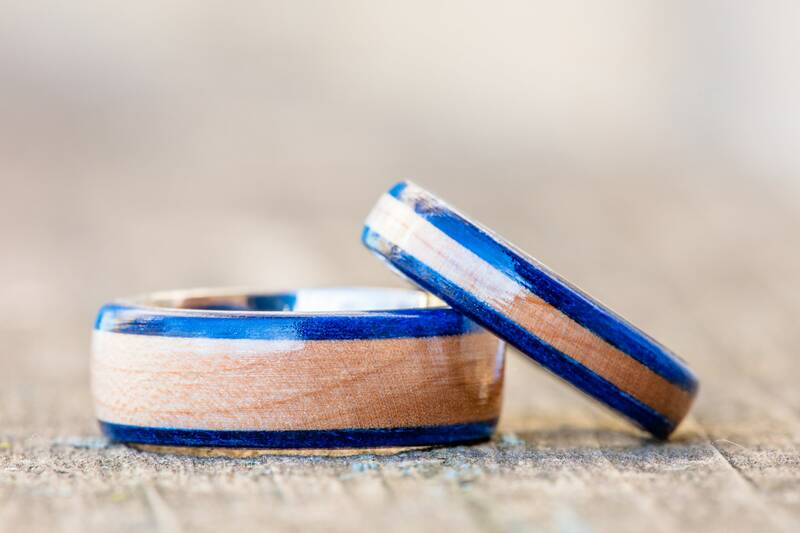 This ring is made from the original wood flooring used in Rupp Arena from 1976-2001 along the central band, combined with brilliant blue-dyed wood for the edges and a titanium inner liner that is sure to please any fan of the Wildcats! 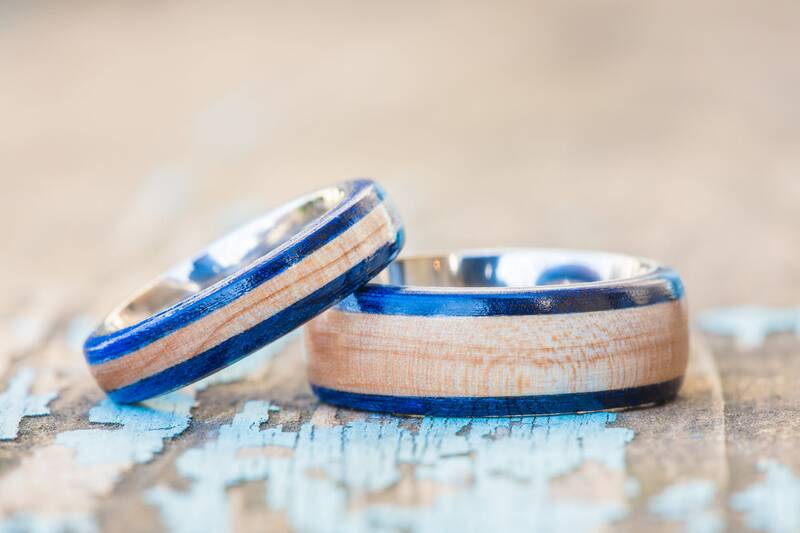 Each ring is unique and made to order - no two are exactly alike.